By nature or personal choice, they are rich and famous and yet... ugly as hell!Ugliness is confined to external appearance and is not confined to the beauty of the heart. Did you really expect anyone else? 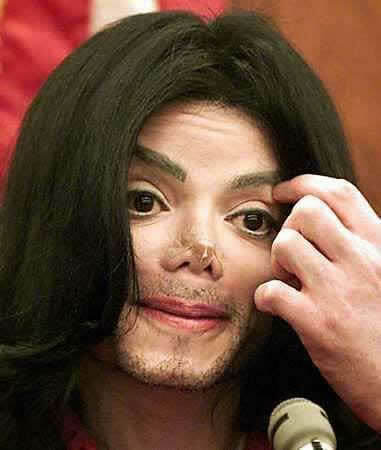 Michael Jackson used to be a successful black singer, but took it upon himself to destroy his face and reputation. He now looks like an albino alien whose nose appears to change on a daily basis. Just goes to show you what can happen if you are too critical of your looks... you can end up an albino alien like Mike. Seriously ... what the hell happened to this kid? 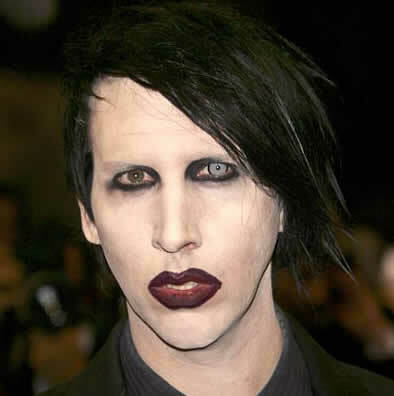 From the ghostly white makeup you can see on his black collar to the funky blue eye and blood red lips ... Marilyn Manson is a freak and there's nothing more to say, he's ugly by choice. And not only is he ugly, but he scares the crap out of us. Holy crap! 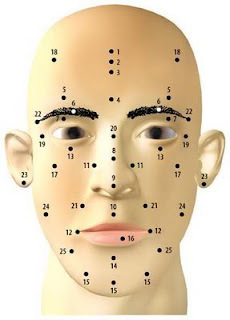 This is what happens when you get obsessed with plastic surgery. A wealthy socialite from Switzerland, Jocelyn is actually a celeb for being so ugly. Her extreme appearance has led to the press giving her the nickname "The Bride of Wildenstein," a reference to The Bride of Frankenstein. 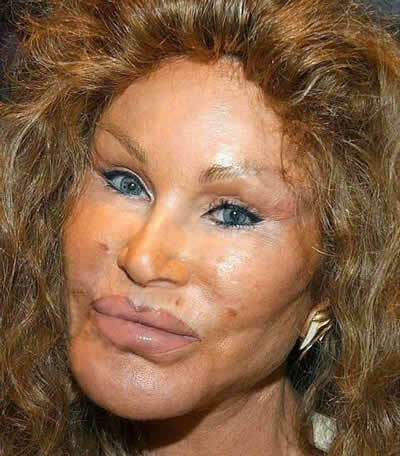 Wildenstein has allegedly spent almost US$4,000,000 on cosmetic surgery over the years, all payed by her husband, the billionaire international art dealer Alec Wildenstein. No, it is not make-up. This actor born in LA, suffers from Hypohidrotic Ectodermal Dysplasia (a rare condition leaving him with no sweat glands, hair, fingernails or teeth). He played Pluto in Wes Craven's 1977 horror film The Hills Have Eyes. He has also appeared in numerous science fiction and fantasy movies such as My Science Project (1985), Weird Science (1985), Armed Response (1986) and Evil Spirits (1990). He also appeared in One Flew Over the Cuckoo's Nest, and The Devil's Rejects. Berryman generally portrays mutant bikers, evil undertakers, monsters and other frightening characters. 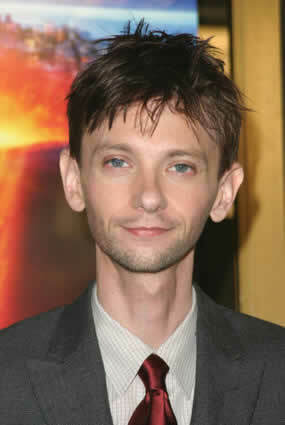 He has also starred in episodes of Star Trek: The Next Generation and The X-Files. Ok, we are going to be really mean again, since he's actually ugly for a another terrible reason. We're actually happy to see he has turned it into a good thing, just like Berryman. Qualls also suffered from a rare condition: Hodgkin's lymphoma, a form of cancer, at age 14. After two years of surgery (including the removal of his spleen), chemotherapy, and radiation treatments, Qualls's cancer went into remission, which lent him his famous thin stature. In 1997, he enrolled at Nashville's Belmont University. At a performance in a local theatre he was discovered by David LaChapelle and became... a model!! Yes, a model, for Prada and Calvin Klein. He then got famous for his role on the movie "Road Trip". And yet another terrible case. 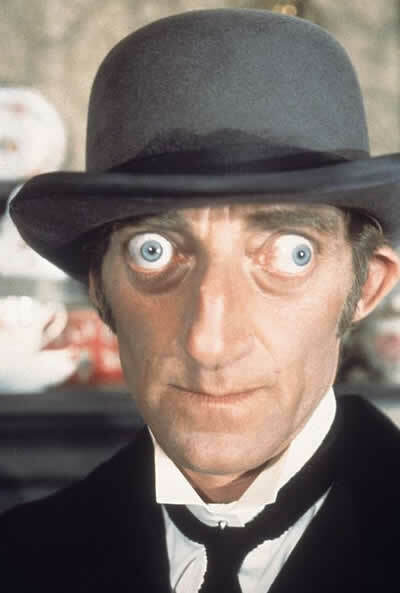 Marty Feldman (1934 – 1982) was an English writer, comedian and BAFTA award winning actor, notable for his bulging eyes, which were the result of a thyroid condition known as Graves Disease. He wrote situation comedies such as The Army Game, Bootsie and Snudge for the BBC and later had a series of his own on the BBC called Marty. He also appeared in The Adventure of Sherlock Holmes' Smarter Brother and Mel Brooks' Silent Movie, as well as directing and starring in The Last Remake of Beau Geste. He guest-starred in the "Arabian Nights" episode of The Muppet Show. No weird disease this time -- he's just plain ugly. But then, again, it is probably what made him famous. Born in 1959, the actor appeared in Cocoon, Steve Martin's Parenthood, EdTV, Apollo 13, Austin Powers, That Thing You Do among others. 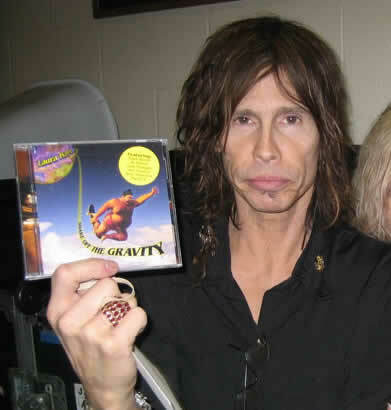 In 1998, Howard was awarded the MTV Lifetime Achievement Award. He got married twice, just to show you that looks don't matter. 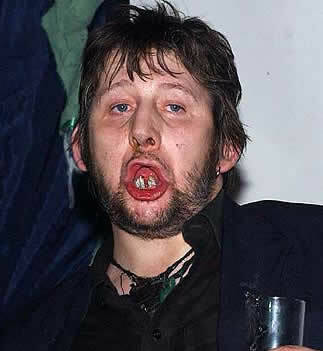 This Irish musician is best known as the original singer and songwriter with The Pogues, and is considered one of the most important and poetic Irish songwriters of the last thirty years. A great find for our list... he's terribly horrible. Lyle Lovett has to have some good blackmail on someone. Otherwise, how in the hell did he ever get into acting? 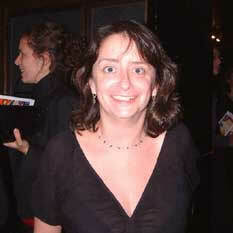 And the fact that Julia Roberts married this beast makes us think she's not only nuts, but ugly too. Tell us one thing that you find attractive about this man ... go on. Then we'll laugh at you. Holy hell ... Kelis is not bringin' any boys to the yard looking like that. There have been rumors that she is really a man, and quite frankly we are thinking something's not right with this chick. Every time we see her she has her mouth open and looks like she's ready to eat us. She's scary. Next time we see her, we are looking for the Adam's apple. Rock singer, songwriter, and occasional actor, he is sometimes referred to by the nicknames "the Godfather of Punk". 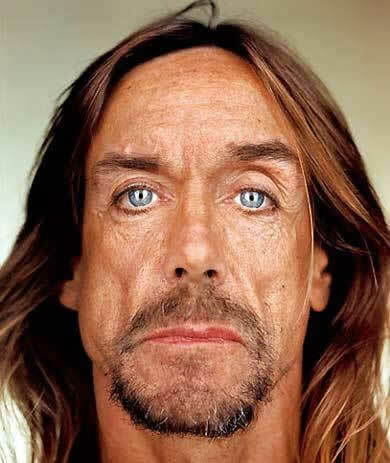 Iggy Pop was the lead singer of The Stooges, a late 1960s/early 1970s garage rock band who were influential in the development of the nascent heavy metal and punk rock genres. The Stooges became infamous for their live performances, during which it was not uncommon for Iggy Pop to leap off the stage (in fact, he was among the first to "stage dive"), smear raw meat (and on one occasion peanut butter) over his chest and/or cut himself with broken bottles. So this is how you get ugly by being nut. Dude looks like a zombie. 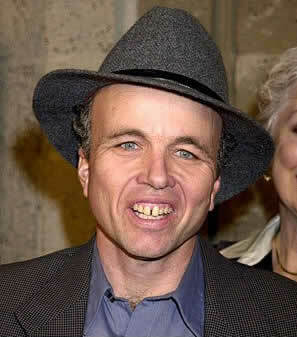 He's a great singer, a cool guy, the daddy of one of the hottest girls on hollywood, plus all the money and women one could ever dream of... and yet... ugly as hell. 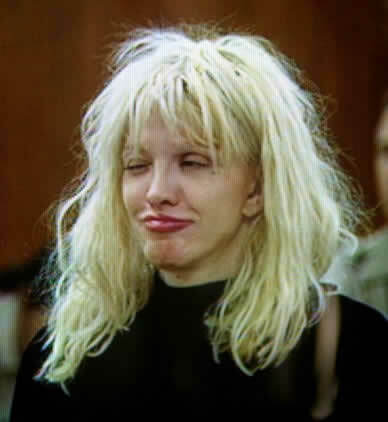 Drugs don't make people pretty... and this woman is about as ugly and classless as it can get. Oh, how the years go by. 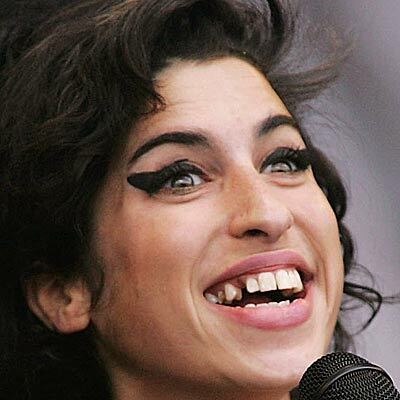 Yes, she's talented, famous and rich, but... she's now ugly as hell! English soul, jazz, and R&B singer and songwriter, she's another drug victim. Now, get this: she has a number of "old school" tattoos of naked women on her body. When asked about them, she was quoted as saying "I like pin-up girls. I'm more of a boy than a girl in that way. I'm not a lesbian, though — not before a sambuca anyway. And the she said she would own a beauty salon once her singing schedule calms down... that's a must. 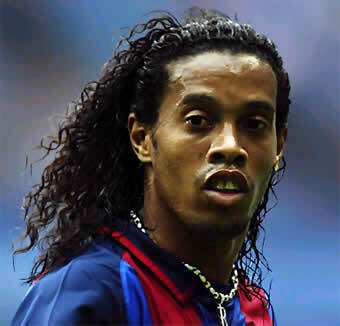 Probably the world's best soccer player at this time, Ronaldinho might be one of the funniest, honest, and nicest celebs around... but he's also one of the ugliest. This brazilian is certainly saving his huge salary for something other than helping his image. "Uh, I'm ugly." Yeah, we know Kelly. The British accent is cute and we love that she is all about being an individual, but quite frankly Kelly Osbourne's annoying and a brat. And we're not picking on her weight, because it fluctuates and we don't care. Weight really can't change whether you are ugly or not. And Kelly is on our list! Tori Spelling Tori Spelling must be thanking her daddy for helping her get into the acting business 'cause there is no other way she would EVER have made it. Thanks Aaron Spelling for ruining our lives! Sometimes you hope someone will grow on you after awhile, but even now when we see Tori on TV we immediately switch the channel. Yeah, it's that bad. And don't even get us started on her acting. 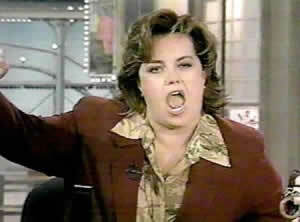 Rosie O'Donnell is a bully, but it's not the bad temper what got her on our list... she's ugly, plain and simple. Don't get us wrong: we love Rachel. Her SNL sketches are hilarious, she's a great actress. But we are sorry to say she truly earned the last place on our list.